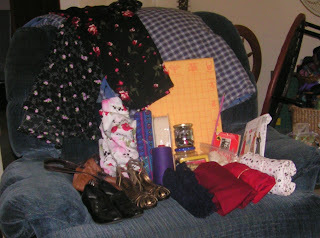 I got so many things! 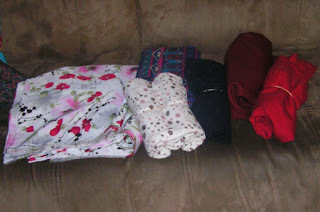 Several pieces of fabrics, probably man-made but all will be useful for small projects. 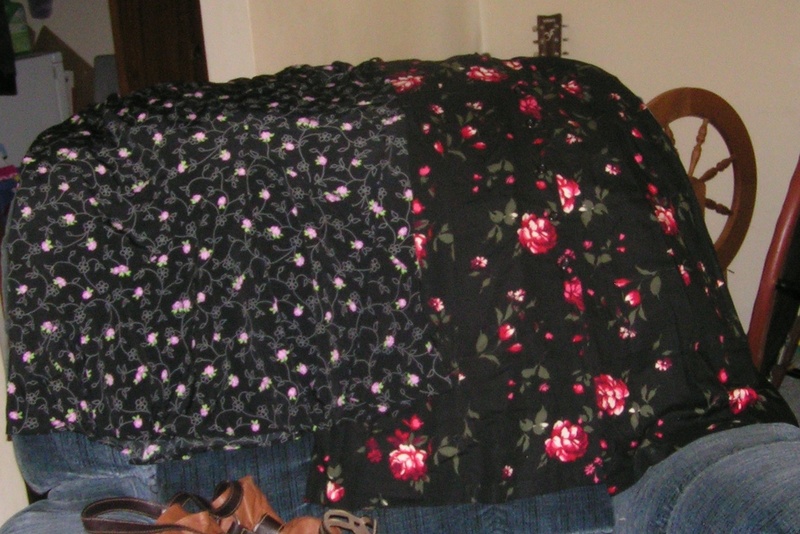 The floral one is about two yards, so it may turn into a skirt. Two pair of shoes - one a rather Ravenclaw bronze and the other is kind of steampunky and vintage. 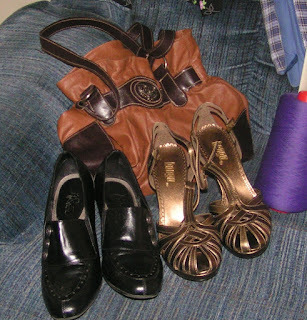 I got the purse but haven't checked it out - I'm very picky about purses and have a hard time finding ones that serve my purposes. We'll see. Two skirts. 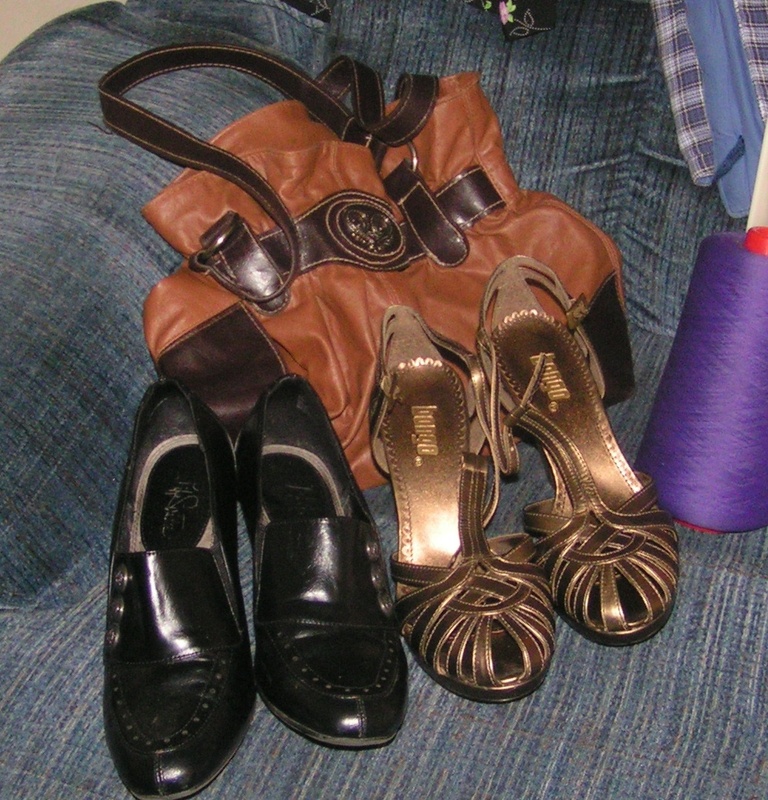 The one on the left just needs the elastic tightened up a bit and it will fit. The right one, though, is much too small but I like the fabric and will make a top out of it. So many supplies! Two button jars! A new macrame board! A roll of sell-by-the-yard trim that hasn't been opened and two little pieces of trims. I think the purple cone is wooly nylon thread. The pattern is a bias cut skirt- I've been looking for one. Two weave-ette hand looms - I have a bigger square and a rectangle already and now I can make other sizes. (Have you seen how much these cost?) And the autobiography of Lauren Bacall because I adore her...cool and gorgeous. I don't usually use straight knitting needles but these are pink and I like pink. So, how much did I spend? 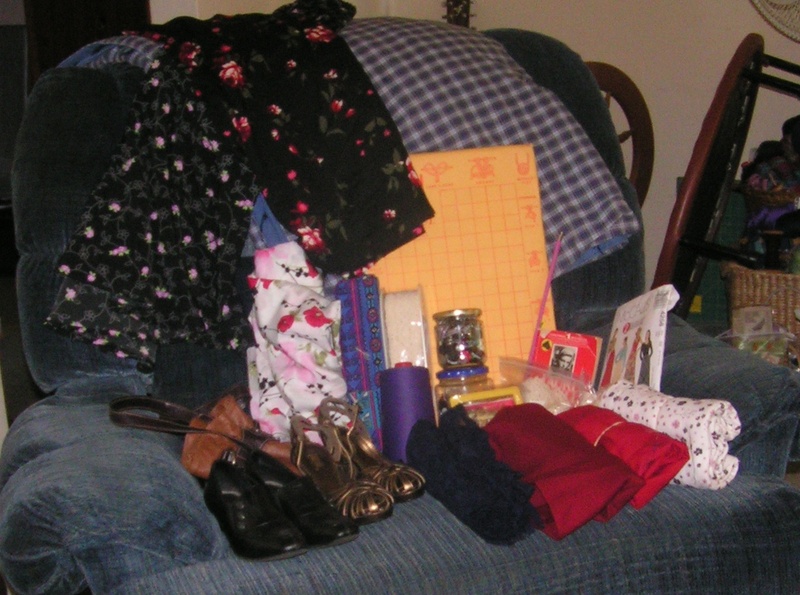 Well, it was Bag Day - everything that fits in a bag for five dollars. 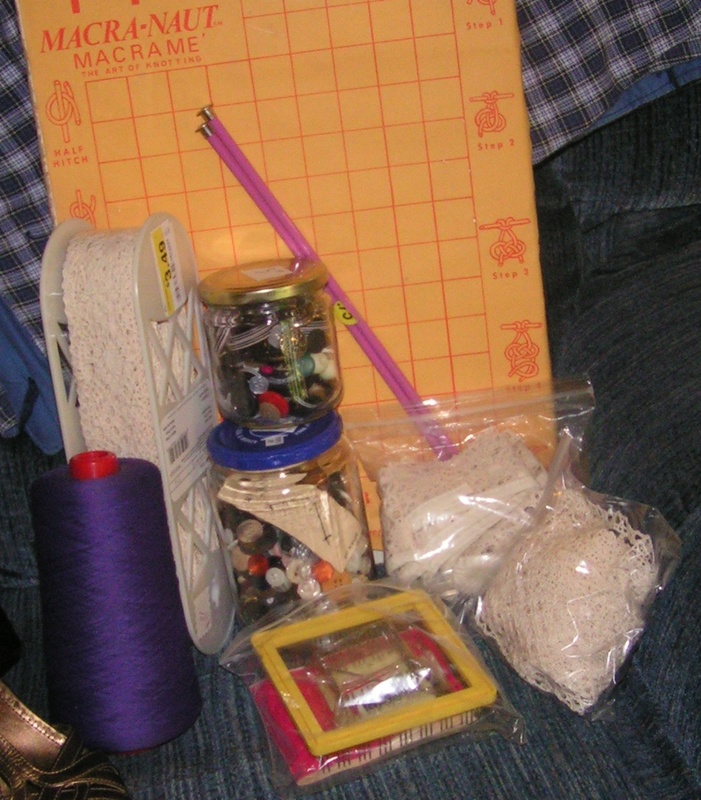 This all was eleven bucks - two bags and the macrame board because it didn't fit in a bag. I forgot that they had a great set of vintage aluminum cups that I'd admired - it would have fit in one of the bags. I'll be going back. Next time will be a weekend because there's a little shop across the street that has crazy hours and I want to check it out. I went to an auction last weekend and am working on a post about those finds but trust me, the macrame board will come in handy! Happy Friday!